Excuseme, but the original picture is by , in fact it was on her gallery till he removed it. Does he know this has been published here? YES - Makoto Ono illustrates for cereal:geek and has contributed MANY pieces - This piece was originally for a trading card company - They didn't pay him and no longer required the piece(s) - I approached Makoto and he was more than happy for it to be published (along with numerous other pieces) in the magazine! Ah, ok! 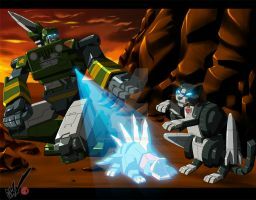 Since *Makotron didn't appear on the signature, I had doubts about the originl of these pieces. Thanks for clarifing it. His name is at the bottom of the page, just above the close-up of Starscream's head! 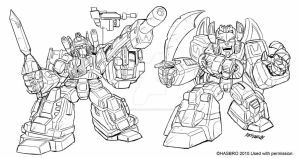 Awesome artwork there on Starscream & Jet/Skyfire by Mako Ono there.